We’re still busy little bees here at Nautical Monkey – much like you good people no doubt! Our development staff has been busier than the rest of us however – we have a slate of brand new boat sharing, member pleasing features to show off to you all. 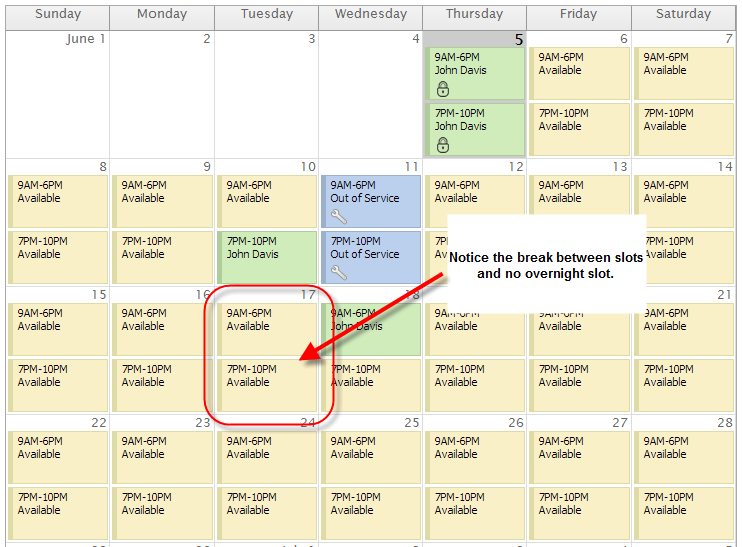 Three 8-Hour Slots: The scheduler currently offers 4 options for the number of slots. One slot, two slots, four slots and six slots. We added another option for three 8-hour slots which provides yet another way to break up the day for your members. Thanks to Tim T of Outbound Sailing for the suggestion. Custom Slots – Set Custom Beginning and Ending Times: In addition, we also added the ability to create custom slots (this will be released next week). Many of you found it difficult to switch between another well known shared boating system and Nautical Monkey because you essentially wanted a day time slot – 10am to 6pm – and a night time slot – 6pm to 10am. Because our slots where made up of equal time segments, this was difficult to accomplish. Starting next week, you will see a an area in the scheduler setup which will allow you to choose between the pre-configured slots listed above and creating your own custom slots. In the custom section you can choose the number of slots you want to use and set the beginning and ending times of those slots. This was a major overhaul to the scheduler system so if you see any issues or problems please send an email to support@nauticalmonkey.com. Thanks to Tim T of Outbound Sailing and Lynn K from BWW Cruising for the motivation. Assign Expense to Another Member: As we’re sure you know, we have what has grown into a fairly robust expense tracking system at the Nautical Monkey web site. Expenses can be assigned to the member who created the expense, assigned based on membership percentage or assigned equally among members. Thanks to our friend Chris T, there is now another option for a member to create an expense and assign it completely to another member. If one member lost a life jacket, for instance, another member could purchase a new one and assign that expense completely to the member who lost the jacket. Sorting Functionality: Responding to another brilliant suggestion by Chris T, we also added some additional sorting functionality at the bottom of the Expense Tracker home page. The default view shows the last 30 expenses no matter when they were created. We also added a “This Month”, “This Year”, and “Select a Date Range” options similar to standard accounting packages. The latter allows you to better locate historical expenses if you need to edit something, etc. Reconciliation Functionality: Tim A suggested we add another feature to the Expense Tracker and we thought it was a good idea too! Need to know how much Joe owe’s you this month? In the reporting section, we added a reconciliation area at the bottom of the report page which allows you to see who owes what to whom – Joe won’t be getting away with no paying his share any more! This section also has a date range selector which allows you see the same functionality based on any date range you select. Setting New Member Password: Administrators can now set a temporary password for new members when they are added to their boat. The new password will be sent to them via email or the administrator can walk them through logging on telephonically, by telegraph, carrier pigeon, or in person. Thanks to Tim T for this one too. Auto Confirm New Members: Administrators can now “Auto Confirm” a new member so the new member does not have to confirm the sharing request. Members still get a welcome email, but can simply login and start using the site immediately. 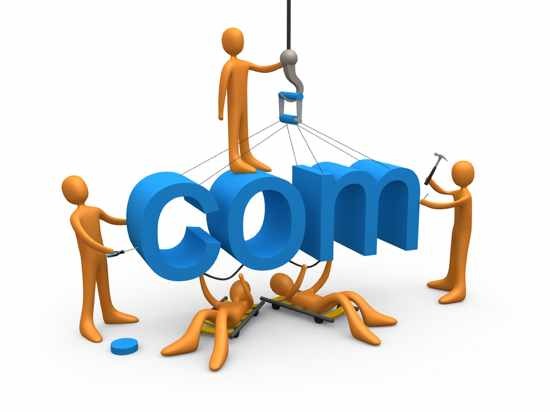 Business Site Trial Period: As you may know, we provide a function whereby you can set up a custom URL for your boat or boats, customize the look and feel of the site, upload a logo, determine which tools are visible to your members, etc. You can now fully set up such a site and add members to it without providing a credit card. You’ll have a week to see all the wonder that is Nautical Monkey, but contact support@nauticalmonkey.com if you need more time to experiment with the functionality. General Lists Versus Check on / Check off Lists: We created a distinction between a check on / check off list and a general checklist. General checklists don’t have to be related to a particular reservation. Examples, would be Winterization Checklist, or Quarterly Cleaning Checklist. General checklists can be used any time – they don’t need a reservation associated with them. By contrast, a check on / check off list can only be used if there is a corresponding reservation for which the member needs to either check on the boat or check off. Tim T is clearly not shy and gave us this one as well. 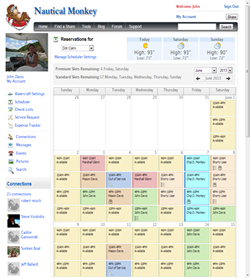 Just look for the icon on the far right side of the row of icons for each boat you have access to on your home page. If you are an administrator, you can click that icon to show off to your hearts delight. We came up with this one all by our little selves. Change Email/Login and Password: For you security conscious folks, we made it easier to change your email/login and password in your My Account area under the Contact Info tab – you’ll get an email telling you your email and or password was changed to be sure it was you. Thanks to Jeshaha for pointing out that we had completely hid this function. Well that’s about it for now – if you have any feature requests, see any bugs, or just want to tell us how cool Nautical Monkey is, shoot an email to jdavis@nauticalmonkey.com and we’ll do our best to add it, fix it and bathe in the glory of your praise.